Edugration is a well-known phenomenon in SA, with parents changing suburbs and even cities to buy property in the feeder areas for top-rated schools – or in certain estates with their own schools – and usually having to pay a hefty premium to do so. On everyone’s lips during February was the anticipated budget speech on the 25th of February and the implications thereof on our pockets. Clearly there are many other economic factors, but for the man in the street the most important detail would be how our personal budgets would be affected. Growth in the planning phase of residential building activity in the South African market for new housing, as reflected by the number of building plans approved by local government authorities, was in 2014 at its highest level in more than 10 years. However, the construction phase of new housing, i.e. the volume of housing units reported as completed, contracted for the second consecutive year. 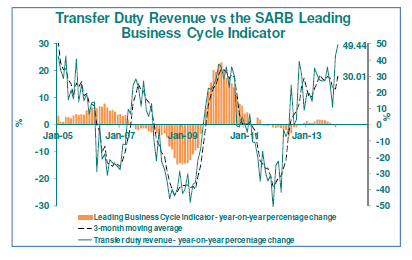 These trends are based on data published by Statistics South Africa in respect of building activity related to private sector-financed housing (see explanatory notes). All address numbers allocated the municipality should be reflected on the houses as stipulated in article 69 of the Ordinance of Local Government (Transvaal) no.17 of 1939 (as altered). All owners are requested to ensure that the allocated street numbers are affixed to a visible place on their property. It remains the responsibility of the residents to inform all their correspondents so as to rectify their physical address. This was shared with me from Inge de Klerk of Pam Golding Properties. Written by Stuart Murray – Co-founder and former editor of Finance Week magazine, the Review provides comment on, inter alia, the increasing average home purchase price, increased sales volumes and stock shortages in the residential market of South Africa. The housing market has shown considerable improvement since the start of the year and is indicating consolidation of this rising trend, both in increased sales volumes and rising values. Overall first quarter results in April will confirm this steady upward progression. Mortgage originator ooba says that in February the average home purchase price increased by 5,4% year-on-year. The buyers’ market of the post-recession years has turned, quite dramatically, to a sellers’, emphasised by widespread stock shortages. The backlog of unsold homes on the market is fast being absorbed, Dr Golding notes. Nevertheless, the granting of new bonds is on the up and up, According to Standard Bank: “Household mortgage balances have improved of late, with this momentum boding well for household demand.” Ooba reports that there has been a sharp fall (5,6%) in the average deposit required by banks. Laurie Wener, PGP’s MD for the Western Cape region, comments that the rise in the property market has resulted in a shortage of stock in most areas. “The middle residential markets in the Southern Suburbs and on the Atlantic Seaboard and City Bowl, between R4 million and R9 million are extremely buoyant with a high percentage of cash sales – over 60%. Jonathan Davies, joint manager for Hyde Park, PGP’s main office in Gauteng, says that the shortage of stock sometimes results in homes being sold above asking price due to competing agents, particularly in the lower and middle segments of the market. Owners in more elite suburbs have been able to pick their time to sell. These stock shortages are partly the result of a badly-underperforming building industry over many years which has only recently got back on its feet again in terms of residential building activity – and then mainly in the development of flats and townhouses. Cost pressures, of course, including the rising cost of land, have played a significant part in the industry’s woes and this has resulted in the cost of new houses far exceeding that of existing homes. This in turn increases demand for existing houses. Latest statistics to hand from Absa show that it is 33,8% cheaper to buy an existing house than a new one – but that the gap is narrowing. A “bubble” is when market prices rise way beyond where they should be in terms of the economy and other fundamental indicators. While Britain’s “Help to Buy” scheme is intended to support the building of 10 000 new homes,the UK government is now under pressure to further assist the building sector. Shadow Chancellor Ed Balls has urged his Conservative counterparts to cut the “Help-to-Buy” guarantee to 400 000 pounds sterling and use the balance to give small and medium builders better access to finance. First-time buyers continue to dominate the residential market, as young couples and newly-weds take the plunge into family life. In fact, mortgage originator ooba reports that in June 51.7% of its bond applications were from first-time buyers. Most analysts consider that first-time buying is a good indication of market conditions and, given this segment’s high dependence on credit, whether bonds are easier to obtain – or otherwise. According to a survey by FNB, in the second quarter of this year, first-timers were estimated to make up 22% of total buying. In recent years, as the residential market gradually recovers from the slump, many young buyers have been forced to wait, remaining in their parents’ homes or renting. Now they are returning to the market as a significant force. However, for the starry-eyed, eager to set up that dream home, a little patience is required. Delays in the process of finding and owning that first property can be more than a little frustrating. Conveyancing attorneys STBB issued a caution in June that the turnaround in the Cape Town Deeds Office had slowed considerably, with transfers taking 15 days and more to register. Similar delays are being experienced countrywide. Mortgage bonds, too, take their time. In fact, according to ooba’s statistics, it takes an average of 69 days for a bond to go from being granted to being registered. > The bank grants your bond and instructs the attorney to register it. > The seller advises the transferring attorney to transfer the property. The title deed and cancellation figures are requested by the bank where the current bond is held and a statement of rates and taxes is requested from the local authority. > The bond attorney tells the transferring attorney the amount available for guarantees and requests the draft deed of transfer and guarantee requirements. > The cancellation attorney is asked to cancel the seller’s bond upon receipt of a guarantee for the amount owing. > The transferring attorney receives the title deed and cancellation figures and sends a copy of the deed of transfer and the guarantee requirements to the bond attorney. The transferring attorney requests the buyer and seller to sign the transfer documents. The buyer pays the transfer costs and the transferring attorney then pays the rates and taxes and the transfer duty. > The bond attorney prepares the bond documentation together with the relevant account. The buyer signs the document and pays the costs. The bond attorney prepares and issues the necessary guarantees, forwards them to the transferring attorney and prepares the bond documents for lodgement at the Deeds Office. > Once the transferring attorney has received the guarantees, they are forwarded to the cancellation attorney. > The cancellation attorney obtains consent for cancellation from the bank which holds the seller’s bond. > All documents lodged, the Deeds Office checks the documents. This can take up to three weeks before they are ready for registration simultaneously by the attorneys. 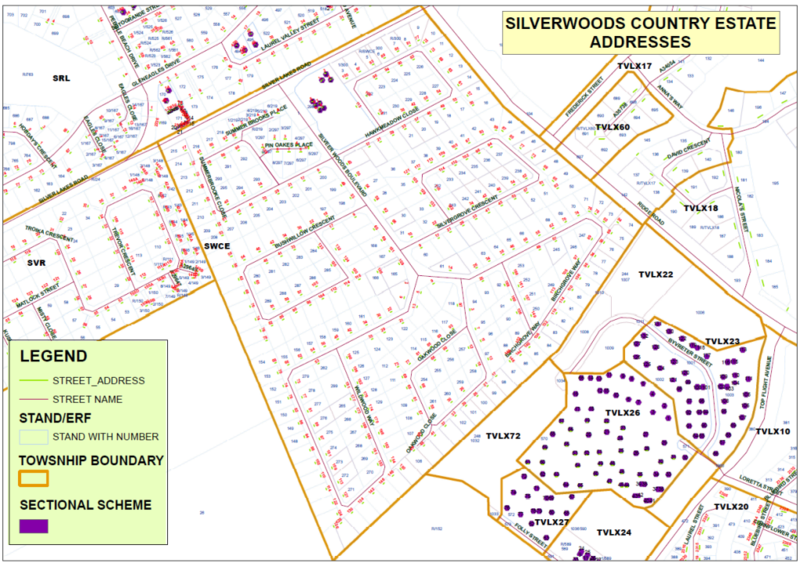 All stand prices from the developer in Silver Woods Country Estate will increase to R725,000.00 this week. Fill in the form below to begin the purchasing process. Property is one of the few investment opportunities that does not necessarily require much money to make money. Property offers a secure income stream and capital growth. If you wanted to buy shares in a company for example, you would need money upfront whereas with property, you could possibly get a 100 percent bond or a significant portion thereof from the bank or financial institution. You ultimately spend other people’s money to make your fortunes provided you heed advice and are smart about what you buy, where you buy and what you buy the property for. There is absolutely nothing new that I will share with you in this article that you don’t already know, well, except perhaps the bit about house prices. The FNB 2012 House Price Index report last week revealed that investors can expect yields to increase further this year making property an attractive class thanks to low house price growth. What this means really is that now is a good time for investors to build on their portfolio and take advantage of buying property in a slow market. The Absa House Price Index indicates that house price growth is forecast to remain relatively low in 2013 compared with growth of a few years ago. The bank says in 2012, prices of middle-segment homes increased by a nominal 0.6 percent, after rising by 1.7 percent in 2011. In real terms prices dropped by 5.4 percent in the first 11 months of 2012 with real price deflation of 2.9 percent evident in the corresponding period in 2011. Many property experts will tell you that the lower the price you pay for the property, the higher the potential yield, hence the FNB report believes low house prices are good for investors. When buying property to rent out, you must consider the yield that property will generate. Banks will hardly give you a loan to buy or invest in shares, but they give loans to people wanting to buy property. To calculate the yield, divide the net annual rent by the purchase price of the property and multiply by 100 to give you a percentage. You can also read the 10 easy steps to save money and Wise words for investing in property. 1. You can work with other people’s money, so you don’t necessarily need money to make money. Yes, you are probably thinking I have lost my marbles, what with stingy banks, but everything that has a price is negotiable, so if you badly want to get into the property market, do your homework – just because your friend did not get a 100 percent bond doesn’t mean you will succumb to the same thing. 2. Property offers a secure income stream and capital growth. In the case of buy-to-let property, make sure you buy in the right location where there is demand for rental property and get a tenant who can actually pay rent. 3. You are likely to make mistakes, but you can recover from these. For example, your tenant may find himself unemployed and cannot pay rent, which means if you do not have other sources of income you may miss your monthly bond repayment. The bank is not going to take the house away from you, you can recover the next month. 3. It is easier if you multiply your investment. Once you succeed with your first property purchase, you can either sell and make a good profit or you can go back to the bank, armed with strong financial books and apply for a bond to buy a second or third investment. Remember to buy in a slow market and sell in a fast market in order to make money. With proper research in place, you can Invest in two or more properties. 4. The value of your property can increase with the investment. If you renovated the property or gave it a bit of facelift, that will increase its value so that when you sell, you make a good profit from the initial investment. 5. Unlike shares on the stock exchange, you do not need to monitor your property all the time. 6. Property is considered to be one of the most secure investments you could ever make – you may not be at a stage where you are a serial property investor, but owning property rather than renting is a step in the right direction. 7. The value of property does not plummet to the level which shares on the stock exchange may fall. 8. Banks will hardly give you a loan to buy or invest in shares, but they give loans to people wanting to buy property. 9. Property is the most tangible and direct way of watching your investment grow. 10. Remember to buy in a slow market and sell in a fast market in order to make money. Between December and January as well as the winter months are good times to be making acquisitions and if you can avoid selling your property during this period.